Apply for a Alaska Airlines Visa Signature Card, and you can earn 25,000 bonus miles just upon credit card approval. With this card, you will earn 3 miles for every $1 spent on qualifying purchases of Alaska Airlines tickets and Vacation Packages, Cargo and In-flight purchases and 1 mile for every $1 spent on all other purchases. On top of that, earn 5 times the points per dollar spent towards mileage plan dining. Don’t forget to take advantage of Alaska Airlines’ Companionship Coach fee! Also, eeceive you first checked bag free for you and up to 6 companions booked on your reservation. 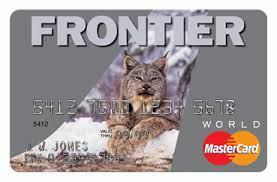 So, If your a frequent flyer with Alaska Airlines or its partners, then I recommend this card for the most optimal rewards redemption on your flights and purchases. Go far and wide with miles redeemable on over a dozen airlines. Receive 25,000 bonus miles for your Alaska Airlines Visa Signature Card after the first 3 months of your account activation. When you sign up for this card, you receive a generous signup bonus and also access to the many perks and benefits Alaska Airlines Visa has to offer, such as; earning 3 miles per $1 spent on Alaska Airlines purchases. The annual fee is $75 (which is decent for a airlines rewards card) but it can be easily worth it if you’re a frequent flyer that utilizes the companionship boarding perk. This card will not be worth it for anyone looking to earns miles to travel to Asia. Don’t forget to check out our full list of Credit Card Bonuses if you’re not interested in a Airlines rewards credit card at the moment.